This input box appears only on LearnDash course pages. In the Memberium / LearnDash system, Memberium controls visibility of the course; whether not a visitor on your site can see the course. Note that courses that are marked as “Open” will automatically add users. If you want Memberium to control access, then set the course to “Closed”, and use the enrollment tags to control who’s added. Learndash controls whether or not you’re enrolled in the course and can take and participate in the course. 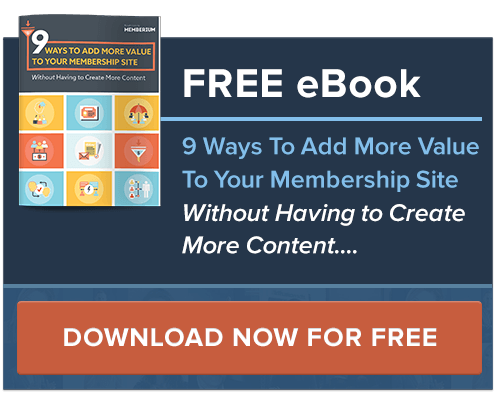 If for example you had a site with Gold, Silver, and Bronze access, and you wanted Silver members to be enrolled in the course, then I would use the Silver membership tag as the auto-enrollment tag. Be sure to use the main membership tag, and not the PAYF, CANC or SUSP tags. If multiple membership levels included the course, then you would include their tags as well. The enrollment input box can handle multiple tags. If you sold your courses individually, then when each course was purchased, you would add a tag to the contact, I would use that tag to auto-enroll the course. You would create a tag for each course in Infusionsoft, and use Delay Timers to add the tag to the contact. This would prevent the user from participating in the course until the appropriate time had passed. 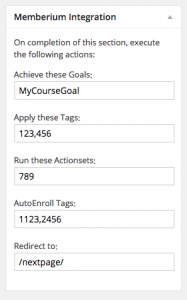 You would create a tag that is applied by the first course on successful completion, and use that tag to control enrollment in the second course. AutoEnrollment tags are processed during login, during auto-update and any time the session is regenerated. If you are applying an auto-enroll tag in Infusionsoft to a contact and would like it applied immediately to your logged in member, then be sure to use an update-contact HTTP POST to push the new tag down to Memberium. For a broader overview of LearnDash and Memberium and how the two work together, please see our LearnDash / Infusionsoft overview.